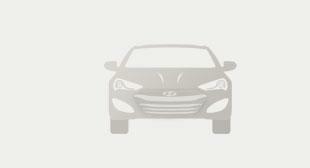 Hyundai Genesis Coupe | HYUNDAI - NEW THINKING. NEW POSSIBILITIES. The excellent power of the Lambda 3.8 engine and Theta engine, offers a dynamic driving experience. The technology-intensive 8-speed automatic transmission. Sportiness and luxury go hand in hand thanks to the sophisticated design of the HID head lamps and rear combination lamps, and large radiator grille. ExteriorA large radiator grille in front improves cooling performance and creates a dynamic, sporty look. The newly designed 19-inch alloy wheels, head lamps and rear lamps convey power, agility and readiness. InteriorThe convenient and beautiful interior of the Genesis Coupe, created with high-quality materials and a design fit for luxury sports cars, incorporates high-tech and ergonomic elements that enhance the driving experience. 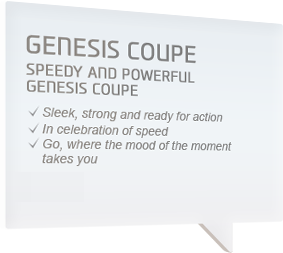 PerformanceThe Genesis Coupe’s ultimate value lies in its exceptional engine power. The 3.8 MPi engine - the heart of the car - provide the best power performance in its class. 8-speed automatic transmissionmake for a ride to remember. SafetyWith safety being the top sports car requirement, six airbags and solid, elaborate frames are designed to protect. A superior brake system will help you stop exactly the way you want. ConvenienceA variety of user-friendly convenient equipment includes everything from a cluster ionizer with deodorizing effect and a defog system with demisting effect to a parking sensor for convenient parking. Diverse options mean more convenient driving. Optional High-Intensity Discharge (HID) Xenon headlamps provide unparalleled lighting precision and power for optimal night time visibility and safety. HID includes an auto-leveling function. High-tech LED rear combination lamps’ sportiness and luxuriousness complete the rear design of Genesis Coupe. A series of lamps built into the front of each exterior mirror cover acts as an additional safety aid when manoeuvring the car. Brighter and more durable than conventional bulbs, LEDs deliver an eye-pleasing jewel look. Supplied as standard. A hyper-silver finish distinguishes the larger 19-inch light aluminum alloy wheel (rim sizes of 8.0J at the front and 8.5J at the rear). The convenient and beautiful interior was designed for the sports car enthusiast in you. High-tech and ergonomic elements make your moments in the car even better. 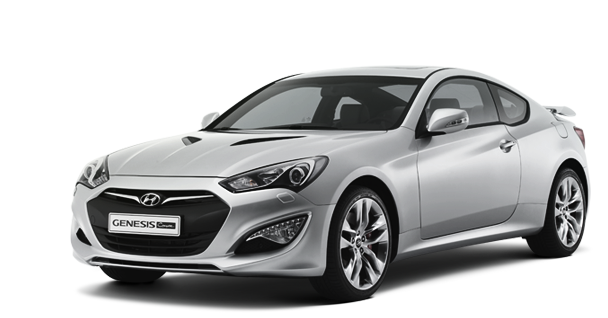 In true Hyundai tradition, the Genesis Coupe offers a lot in the base level. But because personal needs and preferences vary, Hyundai offers a long list of optional equipment starting with three different types of seat upholstery. Give it your own individual touch with options such as all-black leather seats, or brown leather seats, or even red leather seat bolsters with red cloth inserts. The fully adjustable front bucket seats are shaped to hold the occupants in place when cornering generates strong lateral forces. The seats and other parts of the interior are available in a number of colours and materials, which include leather and fabrics. The available power-operated driver’s seat may be ordered with one extra option, a power lumbar support. A manual walk-in device is standard for both front seats. Edges are finished in a decorative topstitch for a hand-finished look more commonly found on luxury automobiles. The optional leather-wrap package not only includes the steering wheel and gearshift lever but also the parking lever. A grand entrance is ensured every time with the illuminated door scuff plate. Optional. For some, good is good enough. Others are content to settle for something a little better. 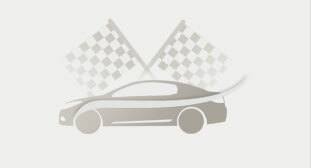 But at Hyundai, we’re driven by an unrelenting desire to produce the best. Our new turbocharged 2â„“ Theta engine is a prime example. By applying a twin-scroll turbocharger which recovers even more energy from the exhaust than a single-scroll design, we increased horsepower by more than 30 percent to 260ps. At the same time, the excellent fuel economy advantages of a 2â„“ have been retained. Equally impressive horsepower gains were scored with the redesigned 3.8â„“ MPI Lambda which now delivers a blistering 303ps. The optional eight-speed automatic comes with steering column-mounted paddle shifters for rapid-fire gear shifting. For sports car purists who demand maximum driver involvement, the Genesis Coupe comes equipped with a manual six-speed gearbox. Clutch engagement has a smooth, progressive and predictable feel while the gear lever glides through the shift gates with buttery smoothness. And to ensure every foot pound of torque is delivered to the pavement and power losses are minimized, available LSD employs torque sensing technology to deliver power to the wheel with better traction. The Genesis Coupe has the engine between the front wheels but drives the rear wheels via the transmission, drive shaft and limited slip differential. This layout produces an ideal front/rear weight distribution. The Dual Macpherson strut type front suspension makes for an ideal ride while 5-link type rear suspension offers reliable driving and handling. A shock absorber separate from the coil spring gives you a better, more comfortable ride. The eight-speed automatic transmission comes steering column-mounted paddle shifters for rapid-fire gear shifting. Genesis Coupe comes with a race track inspired triple gauge cluster indicating throttle position, turbo boost and oil temperature. The turbo boost is dropped as an option in favor of a torque meter. For a touch of high performance, the pedals and footrest are available in an attractive metallic finish. Under wheel-spinning acceleration or on slippery surfaces, the aptly named and optional Torsen limited-slip differential divides the engine output evenly for maximum grip and stability. Passive safety is further enhanced by depowered driver and front passenger airbag which are standard. Side and curtain airbag are available. Active head restraints (optional) protect against the risk of serious injury in the event of a rear-end collision. An improved grip increases steering precision while fingertip controls for the audio system and cruise control keep your options near. Proximity sensors are built into the front and rear bumpers. They generate a gentle audible warning if the car gets too close to an obstacle. The new cluster ionizer generates ions to inhibit unpleasant odors and keep the cabin fresh. Optional. age includes six speakers to deliver rich, accurate sound reproduction. Seat belt extension guide Seat belts are height adjustable to ensure a perfect fit regardless of stature. Discretely and neatly packaged, the overhead pin lamp provides pin-point precision and convenience. Optional. To promote safer lane changes at highway speeds, a gentle tap of the control stalk triggers three flashes of the turn signal. To ensure a perfect driving position, the tilt angle and length of reach of the steering column can be easily adjusted. 360-watt premium audio package comes with multi-disc CD changer and eight speakers in eight locations for the ultimate in sound quality. 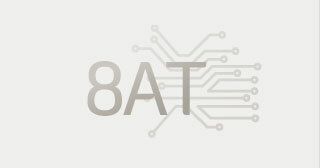 An external 8-channel digital amplifier is also available. With heated front seats, you'll embrace the winter and you'll never fear early morning starts again. This optional feature enhances safety when entering or exiting the vehicle.